Posted on January 23, 2015 January 24, 2015 by Debito Arudou Ph.D. Naturally, Debito.org condemns all exclusionism of this type, and encourages people to challenge it and have these signs and rules repealed. We have devoted much cyberspace to recording and archiving the converse, “Japanese Only” signs that exclude all “foreigners” (that unfortunately have gone largely unchallenged in Japan), not to mention the occasional “Japanese Only” establishment run for Japanese clientele outside of Japan (that excludes all “foreigners” in their own country, natch). 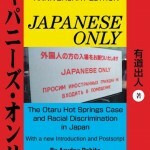 Now, if only the Japanese authorities would be so decisive about this kind of exclusionism in Japan (as Debito.org has demonstrated over these past twenty years, they generally aren’t; they even deny racial discrimination ever happens in Japan, quite counterproductively). 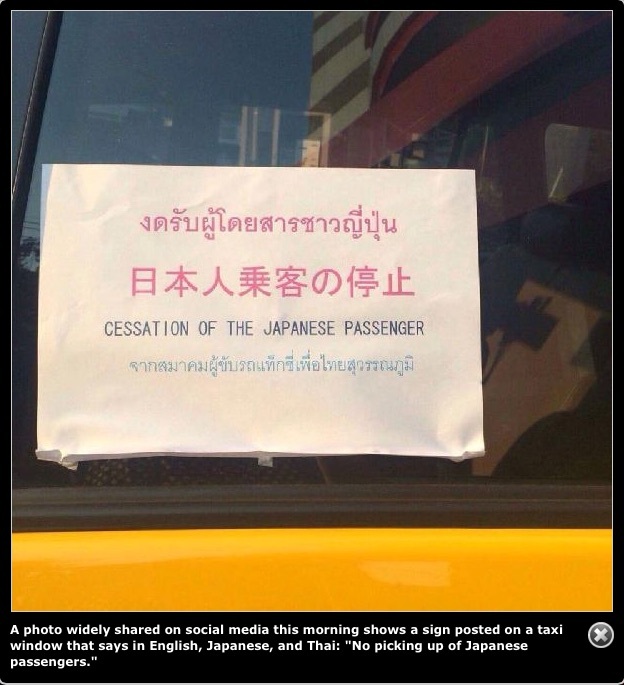 Of course, some hay has been made about this Thai taxi on Japanese social media, with rightly-deserved (but unironic) condemnations of the “discrimination” against Japanese overseas. BANGKOK — A taxi association at Bangkok’s international airport has condemned a cabbie who is reportedly refusing to take Japanese passengers, one day after a Japanese man made headlines with his rant against a driver who refused to turn on his meter at the airport. The photo surfaced a day after airport authorities fined a taxi driver 1,000 baht and banned him from picking up passengers at Suvarnabhumi Airport for trying to overcharge a Japanese man. The punishment was carried out after the Japanese man’s harsh rebuke of the cab driver, who reportedly demanded a flat-rate of 700 baht for a ride to Bangkok’s Saphan Kwai district, went viral on social media. However, Sadit Jaitiang, director of Association of Suvarnabhumi Airport’s Taxi Drivers, told Khaosod in a phone interview that he had nothing to do with the notice, and only found out about the sign from social media today. Sadit said he is looking into who is responsible for sign, and will hold that person accountable if he or she is a member of the airport taxi association. “As the director of the Association, I condemn this action. The Association wholeheartedly disagrees with it. We are working to find out which driver put up the sign. If we discover that one of our members indeed put up the sign, that person will be held responsible,” Sadit said. Hundreds of Thai internet users have vented anger at the “No Japanese” sign, with some accusing the taxi driver of racism, discrimination, and refusing to obey the regulation. Others have jokingly commented that the driver should stop using a Japanese car. BANGKOK — A taxi driver has been suspended from picking up passengers at Bangkok’s international airport after a Japanese tourist’s complaint about the driver’s refusal to use a meter went viral on social media. Koki Aki posted on Facebook, in Japanese and Thai, on Sunday that the cab driver assigned to him at Suvarnabhumi Airport refused to use a meter and demanded a flat-rate of 700 baht for a ride to Saphan Kwai district in Bangkok. Aware that a usual fare for the trip would not cost more than 350 baht, Koki reportedly asked the driver to use the meter, but the driver refused. Koki said he complained to the staff managing the airport’s taxi kiosk system, but was told that it was normal for passengers to negotiate fares with drivers for a long distance trip. Prapon Pattamakijsakul, the director of Suvarnabhumi Airport, said he has already launched an investigation into the incident and punished the taxi driver who tried to overcharge the Japanese tourist. According to Prapon, the driver, Chaiyan Charoensopha, has been stripped of his license to pick up passengers at Suvarnabhumi Airport’s taxi queue, in accordance with the airport’s regulation and penalty codes. “Taxi drivers must always use their meters in their service,” Prapon said, adding that passengers who encounter any problems should keep the tickets issued by the taxi kiosks as evidence for filing complaints to officials. Complaints can be filed by calling 02-132-9199 at any time of day, he said. Prapon also told reporters that there are 35 complaints about taxis at Suvarnabhumi Airport on average per month, which amounts to 0.01 per cent of all rides. Teerapong Rodprasert, director of the Department of Land Transport, said Chaiyan, the taxi driver, confessed to the allegation and was fined 1,000 baht for violating the department’s taxi regulation. After his complaint was publicized by a number of Thai media outlets, Aki wrote yesterday that he was “very surprised” to see such a reaction. He explained in another Facebook post that he has been regularly visiting Thailand for the last 10 years and even knows how to write in Thai. BTW, more on the case and who Koki Aki is (somebody with quite a lot of experience in Thailand) courtesy of the Bangkok Post at http://www.bangkokpost.com/learning/learning-from-news/458379/airport-complaint-gets-results. "Pinprick Protests", Anti-discrimination templates/meetings, Exclusionism, Good News, Human Rights, Shoe on the Other Foot Dept. No self-awareness, no sense of irony or hypocrisy, Japan’s victim culture is alive and kicking. I assume the very same media that are picking up this story (in Japan) are also publicising the very same issues that occur to foreigners in Japan? ?…Not holding my breath on that one!…. If I had a 100 yen for every time a Japanese person used the exclusionary excuse of “communication toranai” or “gaikokujin mita koto nai” or other childish selfish excuses that are used in order not to include, employ, serve, allow entrance etc to gaijin, Id have quite the sum in my bank account. I dont understand what the fuss is; if the same policy is openy accepted and practiced in Japan, what the fuss about the same behavior being used against Japanese? Its just foriegners using a very common and accepted Japanese practice abroad. Instead of complaining about it, why not praise those gaijin for accepting and practicing Japanese culture abroad? — I take it that tongue is quite firmly in cheek. the problem in Japan is the taxis don’t need a sign; if they see a visible NJ and they dont want to pick them up, they just keep on driving. I have never been outright refused by a taxi, but many many have mysteriously not stopped-or in a few cases, slowed down then sped off, when they saw my white face. J apologists will try to label this coincidence but after a hundred times or so, I think not. There is no article about this in the Japanese media for now? The reaction of the Japanese guy is pretty good. “They don’t care about the passengers at all. 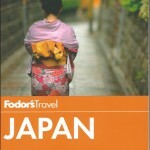 What can we foreigners do?” Is quite unexpected from a Japanese person. Using foreigner to refer to himself is already proof more understanding that the average Japanese. He’s complaining about people trying to scam tourists which is quite understandable. He doesn’t do a whole country blaming either so I guess I kind of like this guy. I’m quite worried that the Japanese media will turn this story in another way to say how Japan is better and perfect on this, I guess for now we can’t do anything about it. I expect them to say it’s the same everywhere in Thailand even if only a single incident is mentioned. Do you plan to write something about the Japanese hostage killed by ISIS? It looks like his death might help Abe move forward with his constitution change, reinforcing the need to have an army to “fight the terrorists” or whatever. I haven’t seen news about this so far but it wouldn’t surprise me. @Meneldal “Using foreigner to refer to himself is already proof more understanding that the average Japanese.” I would like to hope that this person IS an average Japanese, but then I remember that this guy lives overseas. He has realized he is a “gaijin” of sorts. Or maybe this is tactical, forgive my growing cynicism but as Debito and others have oft concluded, only when THEY THEMSELVES are the vitims, do they then complain. Thus NJ rights in Japan is a non issue for most Japanese, as they are not discriminated against. 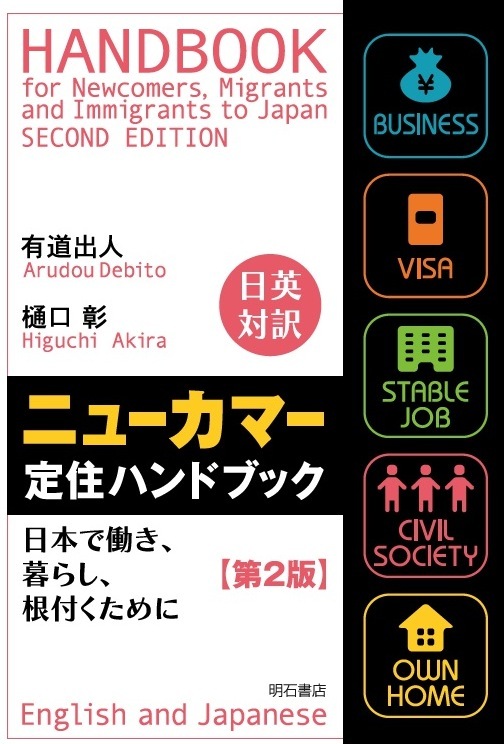 So I sadly cannot conclude that the average Japanese in Japan is way different from Abe and his ilk, the Power Elite, and his nationalist agenda (though the electorate “voted” for him (actually for the LDP) more for economic reasons rather than to give him a mandate for nationalism, but this is hard to prove either way. This is always the deal breaker for me. I agree that Japanese people only complain when they are victims of racism themselves. I don’t want to sound like an apologist but I don’t know many societies where the majority is conscious of the suffering of minorities. The awareness usually comes when the minority is big enough to be heard. 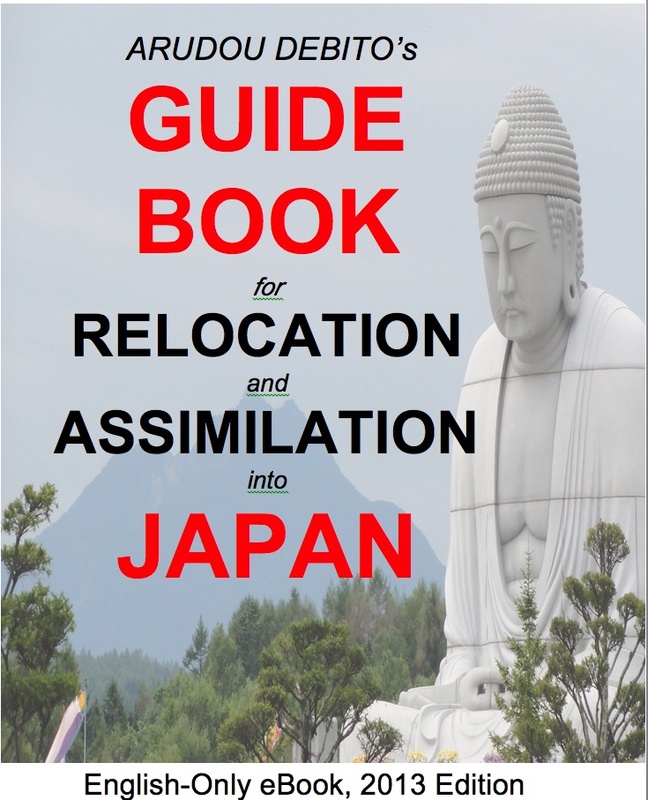 The Japanese way of denial probably makes it harder to convince them of the facts but when the people who are not “true Japanese” reach more than 10% of the population they will have to change their mind. That being said, the Japanese guy who is probably “too gaijinised” by Japanese standards didn’t make it about “Japan is being discriminated against” but was general about the tourists and foreigners who go there and get scammed. I know this problem is common in Thailand (and in many other Asian countries for that matter) and I would also probably tell people if I got scammed. So well I hope more Japanese people would be like him. I hope they can win the trial it would be a great victory for history. Does Japan have some kind of class action system? It looks like a lot of plaintiffs for a normal trial. I found it funny that Japanese people would go to court for “damaged Japanese people’s personal rights and honor.” when they don’t want to make laws about hate speech. If they defend only the right of Japanese not to be insulted there are indeed dark times ahead. I’m curious what right exactly was damaged. Maybe “not being told wareware nihonjin are superior in everything and hence are never wrong”. @Meneidal, The US Civil Rights movement had many white supporters from many backgrounds, including one Charlton Heston (arguably at odds with his later stance on possession of firearms, but maybe that stems from his “loner hero” image, and/or distrust of central government). These people walked arm in arm with blacks to demand equality. I just cannot see that much in Japan, maybe a bit but not much and maybe only then if said Japanese are married to an NJ. Look at the recent Urawa Rednecks F.C. anti racism discourse and some recent demonstrations- its all based on the fact that the hate speakers are “tarnishing” the good image of Japan, its “hazukashii” or shameful etc. Its not coming from the same place. I agree that in the US the Civil Rights movement was joined by white people. But you have to agree they’re not the ones who started it. There’s a need for a large enough group of the minority to do something and be heard. I don’t know what would work to raise the awareness of NJ issues in Japan. It looks like the government (and associates, Japan, inc.) makes sure the Japanese don’t learn about the truth. On this Japan is definitely more than 60 years behind most countries. I try to do my best to change the mind of Japanese people and explain them that NJ are people too and unfortunately many have been too much brainwashed to understand. I agree that many Japanese people look like they side on the antiracism side for the wrong reason. At least it’s better than doing nothing. And maybe that’s the only way to change people here: by shaming them. They have long forgotten the ritual suicide to the hiding and saving face all the time. The solution seems to prevent them from saving face and shame them openly. When they can’t hide any more they will have to change. Japan is indeed truly unique but hardly in a good way. I really like to say that to Japanese people when they start the nihonjinron. It’s pretty bad when Thailand of all places is more socially progressive than Japan.